Many of our clients at Windmill Health Center suffer from chronic sciatica. If you’re lucky, it goes away after a few treatments. If not, a longer course of chiropractic treatment may be necessary. The pain often ranges from dull to excruciating, from intermittent to constant. Let the Weston chiropractors at Windmill Health Center bring you relief! Sciatica refers to pain that originates in the lower back or buttock that travels into one or both legs. The sciatic nerve is the longest nerve in your body. It runs from your spinal cord to your buttock and hip area and down the back of each leg. Sciatica is also called radiating or referred pain, neuropathy, or neuralgia. Sciatica is a symptom, not a disorder. The radiating pain of sciatica signals another problem involving the nerve, such as a herniated disc. The Weston chiropractic doctors at Windmill Health Center have treated many chiropractic patients whose sciatica was the result of a herniated or bulging disc. Sciatica may develop when a nerve root is compressed in your lower (lumbar) spine — often as a result of a herniated disc in your lower back. Discs are pads of cartilage that separate the bones (vertebrae) in your spine. Filled with a gel-like substance, they keep your spine flexible and act as shock absorbers to cushion the vertebrae when you move. If the outer covering of a disc tears (herniates), gel may seep out and press on a nerve root, causing pain in your back, leg or both. If the damaged disc is in the lower part of your back, you may also experience numbness, tingling or weakness in your buttock, leg or foot. Degenerative disc disease – Degenerative disc disease (DDD) usually affects older people because it’s caused by the effects of aging on the spine. The intervertebral discs in the neck or lower back can become stiff and rigid, causing pain and other symptoms. Piriformis syndrome – The piriformis muscle starts at your lower spine and connects to each thighbone (femur). Piriformis syndrome occurs when the muscle becomes tight or goes into spasms, putting pressure on the sciatic nerve. 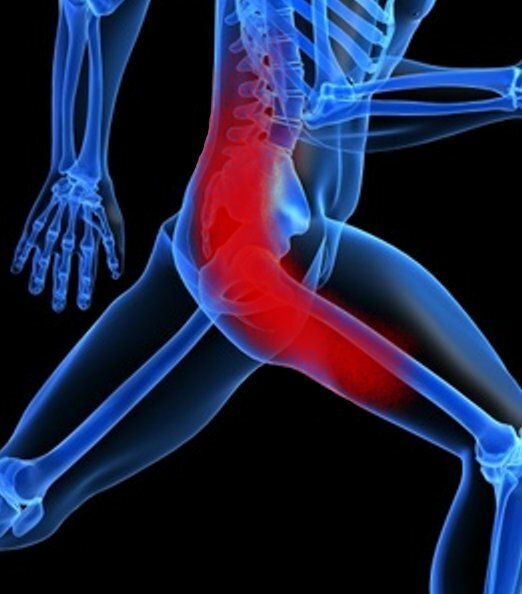 Prolonged sitting, car accidents and falls can contribute to piriformis syndrome. Spinal stenosis – Spinal stenosis is a narrowing of one or more areas in your spine — most often in your upper or lower back. When the narrowing occurs in the lower spine, the lumbar and sacral nerve roots may be affected. Spinal tumor or spinal infection – Sometimes, the sciatic nerve itself may be affected by a tumor or injury. Non-spinal disorders such as diabetes, constipation, or sitting on one’s back pocket wallet. Spondylolisthesis – Spinal stenosis is a narrowing of one or more areas in your spine — most often in your upper or lower back. When the narrowing occurs in the lower spine, the lumbar and sacral nerve roots may be affected. Pain that travels from the low back, through the buttocks, downward into the leg, and sometimes into the foot. Shooting pain down your leg — sometimes described as like electricity. Burning and tingling sensations in your leg. Partial leg numbness or weakness. Pain, burning, tingling, numbness, or weakness on only one side of your lower body. Pain and other symptoms may be constant and vary from mild to severe. Sitting, trying to stand up, and walking may be painful and difficult. Coughing, sneezing, and other sudden movements can intensify pain. Many medical doctors will suggest surgery (diskectomy and microdiskectomy) or prescription medications for sciatica. However, potent medications can damage a patient’s liver, kidney or stomach lining. Additionally, surgery is very risky, rehabilitation is long and the success ratio is still low. Instead, both Dr. Browner and Dr. Behar believe in finding the location of the nerve irritation and relieving the pressure on the nerve through effective chiropractic treatments. This way, your body can heal itself through realigning the vertebrae into their proper place, thus freeing the previous restricted movement of the spinal column. Chiropractic adjustments – Chiropractic treatment is based on the philosophy that restricted movement in the spine may lead to reduced function and pain. Spinal adjustment (manipulation) is one form of therapy Windmill Health Center uses to treat restricted spinal mobility. The goal is to restore spinal movement and, as a result, improve function and decrease pain. Lumbar disc decompression – Lumbar disc decompression is a noninvasive, nonsurgical treatment method that uses computer-aided technology to effectively relieve lower back pain by enlarging intradiscal space, reducing herniation and strengthening outer ligaments. Massage – Massage therapy helps remove waste materials from muscles. Benefits include “breaking up” muscle spasms and increasing the flow of oxygen to the muscles. Massage also lengthens and relaxes muscle groups allowing them to rest. Range of motion and flexibility are restored. At Windmill Health Center, we may use Swedish, Deep Tissue, Sports, Neuromuscular, Pre-Natal, or Focus massage. Therapeutic Exercise – Although it may seem counterintuitive, exercise is usually better for healing sciatic pain than bed rest. Patients may rest for a day or two after their sciatica flares up, but after that time period, inactivity will usually make the pain worse. Without exercise and movement, the back muscles and spinal structures become deconditioned and less able to support the back. The deconditioning and weakening can lead to back injury and strain, which causes additional back pain. Exercise is also important for the health of the spinal discs. Movement helps exchange nutrients and fluids within the discs to keep them healthy. At Windmill Health Center, we will develop a rehabilitative exercise program focusing on strengthening the abdominal and back muscles in order to give more support for the back. Stretching exercises for sciatica target muscles that cause pain when they are tight and inflexible. When patients engage in a regular program of gentle strengthening and stretching exercises, they can recover more quickly from a flare up of sciatica and can help to prevent future episodes of pain. Ice therapy and heat therapy are also often used for sciatica relief. These sciatica treatments help to reduce inflammation and lessen pain. At Windmill Health Center, our Weston chiropractors benefit those who need treatment for pain or illness, those seeking peak performance and those who wish to improve or maintain health and vitality. Whether you’re young or old, a weekend warrior or a marathon runner, let the Weston chiropractors at Windmill Health Center speed up your recovery time. After an initial examination and potentially x-rays, we’ll recommend a course of chiropractic treatment that combines the best in kinesiology, physiotherapy, lumbar disc compression, and therapeutic exercises. The human body has an amazing ability to heal itself – but not always by itself. Let the Weston chiropractors at Windmill Health Center help restore your wellness and well-being. I read this article and found it very interesting, thought it might be something for you. The article is called Sciatica and is located at http://www.windmillhealthcenter.com/conditions-treated/sciatica/.